Mill seats owned by various individuals and corporations on the Brandywine River from Rockland to Wilmington, New Castle County, Delaware circa 1816. 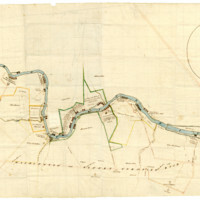 This 1816 map of the Brandywine River is marked with 86 small wheels. 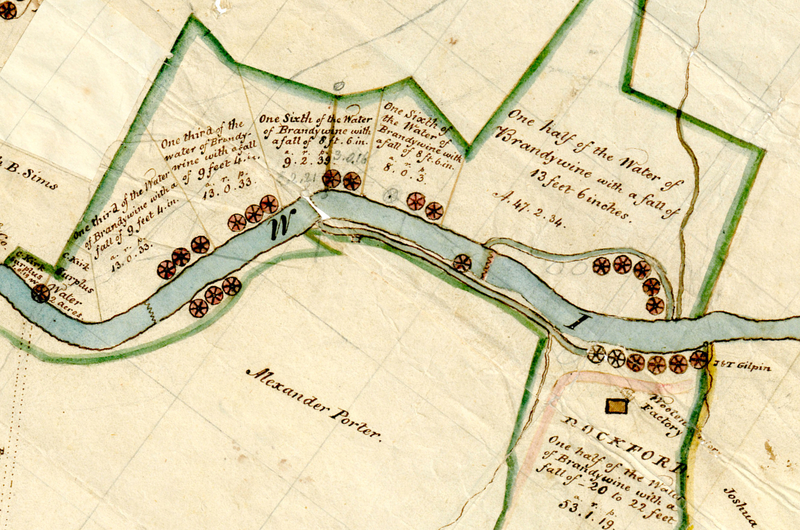 Wheels depicted with a white interior represent existing water wheels and corresponding water powered mills on the Brandywine at the date the map was drawn. Those wheels which are drawn with orange interiors represent potential sites for new mills. 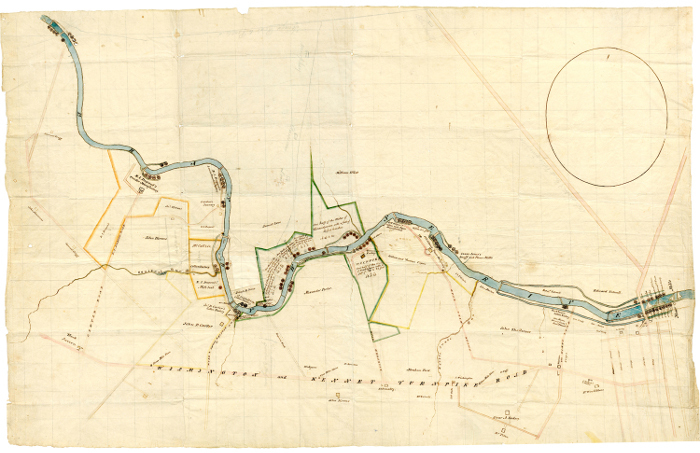 For the most part, this map also lists owners for plots of land and mills drawn on the map, as well as the type of mills at most locations. "Mill seats on the Brandywine River" Map, 1816, 20090603_waterwheelmap, Group 9, Series C, Map Drawer 5, The Longwood Manuscripts (Accession LMSS), Manuscripts and Archives Department, Hagley Museum and Library, Wilmington, Delaware. 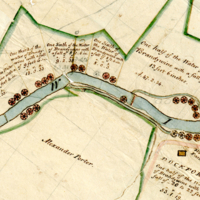 Fairlamb & Reid, surveyors., “Mill Seats on the Brandywine River,” DelaWARES.org, accessed April 23, 2019, http://delawares.org/items/show/143.